Miami’s Jorge Alfaro went 0 for 4 and stranded seven, including the potential tying run at third when he struck out against Wilson. 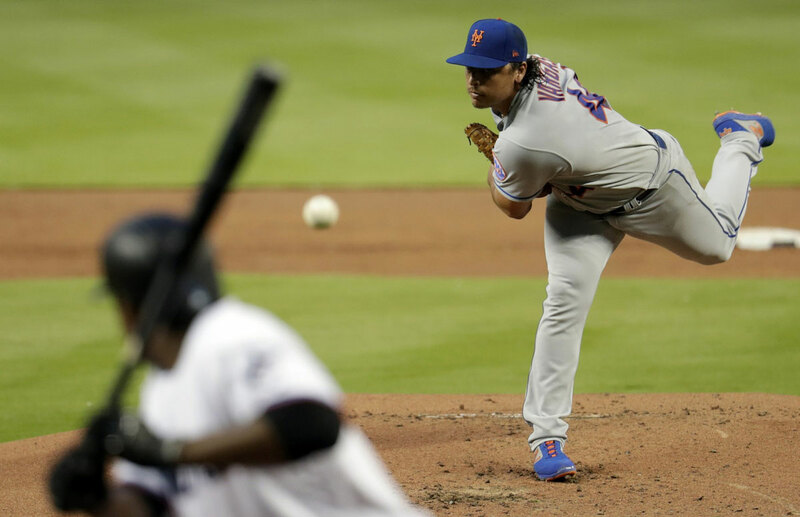 DeGrom is 4-6 against the Marlins, who have beaten him more than any other team, with a 3.60 ERA. Mets reliever Justin Wilson stood at his locker 30 minutes after Tuesday’s game fanning himself with his shirt. “No, I was thinking, ‘Bad pitch,’” Wilson said.